Summary: A suit with the ability to shrink offered Paul Rudd an unexpected advantage against an adversary that was also using that technology for evil, and the smaller he became, the denser and more powerful. Yeah, it was a pretty outlandish (and awesome) concept, but it’s one that reflects an impetus that has driven nearly every industry since industry was born. One of the great paradigms of all technology is to make machines do what they do better in smaller packages. In the world of guitar pedals, tinier circuits in enclosures to match make for more palatable and often more usable devices. Sometimes this is an Earth-shattering improvement, other times a profitable sidestep, but it’s always… smaller. If you’re here, you know that nobody feels the urgency of this size reduction like a guitarist. You keep cramming these massive buzz boxes on your ‘board because they sound f*cking awesome, but eventually you’re gonna run out of precious, precious real-estate. I purposely built my too-heavy pedalboard about five pedals too big for the 9 pedals I run now, so that I can add more on a whim without sacrificing anything; that’s nuts! If you like vintage pedals, you’re even worse off than us normies with your tall, weird-shaped, mains-powered monstrosities. The biggest and most-seasoned companies in the industry know the struggle, and if you’ve been paying attention, you’ve noticed the massive influx of itty-bitty reissues and how wild people are going over them. Ibanez jumped into the Bite-sized Battle Royale during Winter NAMM 2015 by introducing the Tube Screamer Mini, and now they’ve infused some of that pequeña power into more of their 80’s legends. The orchid-hued Analog Delay MINI (ADMINI), the lavender Chorus MINI (CSMINI), and the sparkling electric blue Super Metal MINI (SMMINI) have all joined the roster, and they are not to be trifled with. Because in the case of Ibanez’s new MINI Series, size isn’t everything. Repeats: Determines the amount of repeats, ranging from 1 to infinity. Visit Ibanez for more info on the MINI Series! ADMINI: See the lowest price on Amazon. CSMINI: See the lowest price on Amazon. SMMINI: See the lowest price on Amazon. If you know how to use an AD9, you know how to use an ADMINI. 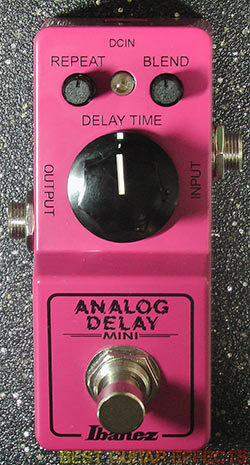 It’s pretty much that same style of dark analog tone we all know and love in an adorable pink package. As with the TSMINI and CSMINI, the ADMINI reprises the AD9’s knob functions (while losing the AD9’s dry out), so the benefit of choosing this over its predecessor (should you own an AD9 already) is more-or-less the benefit of more room and an updated chip. However, if you don’t own an AD9 or ADMINI, the tone is impeccable despite the loss of the AD9’s stereo functionality. 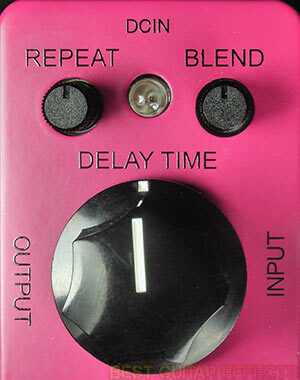 The proportionally massive Delay Time knob in the center implies where the money is and pitch shifts the delay creamily if you turn it while the pedal is generating repeats. The smaller Blend and Repeat knobs are impossible to kick accidentally, which is a huge boon for anyone who packs their ‘board tightly. At its extremes the ADMINI will self-oscillate into chaotic, pitch-shiftable banshee wails; at its most gentle, you’re rewarded with a gritty ambient delay that dies out warm and dark like a freshly extinguished log of firewood. 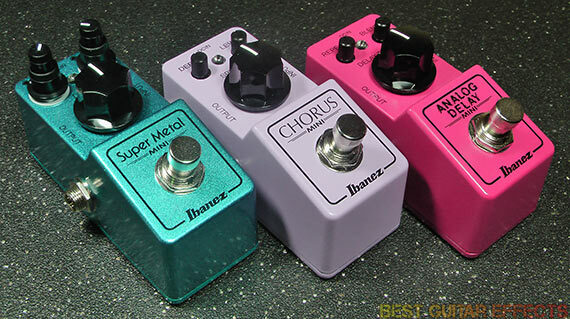 If you’re looking for a super dependable, classic-sounding chorus that adds subtle nuances to your signal rather than mangle it into a squirmy mass of worms, then does Ibanez have a pedal for you! 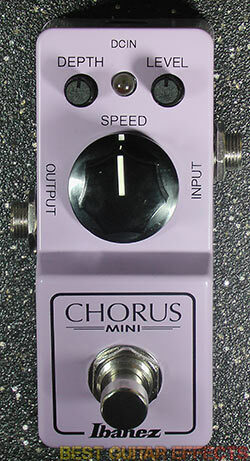 The CSMINI sports the same body as its delay counterpart with the parameters of the CS9, but like the ADMINI, the CSMINI loses its stereo heritage to accommodate its lithe frame. There’s not an exceptionally wide range of wild tones you can squeeze out of this thing, but it does everything a chorus generally meant to do, from gentle waves of lush modulation to surging, wobbly bubbles. The size and super simple interface speak for themselves, and any guitarist seeking something extra to push their tone out of a mix should start here. Man, starting on the surface the SMMINI is cool. 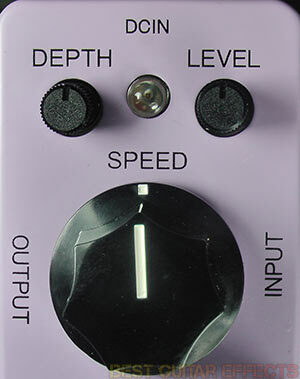 It sports an identical chassis to the ADMINI and the CSMINI, but in addition to the huge drive knob, it also features two smaller dual-concentric knobs. “What does that mean?” you ask. It means that this little beast has knobs inside of knobs. I know! 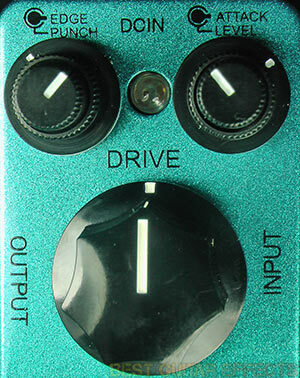 I’d love to see more dual-concentric knobs industry-wide. Tone-wise, you can get whacky, over-the-top hair metal out of it or even just use it as a dirty boost for soloing. While single notes soared and dyads were harmonically thick, I did notice that the SMMINI tended to mud up my chords as I brought the drive further past noon, and became almost intolerable when maxed out. However I remind you, dear reader, that a distortion is meant to distort to taste; you can’t crank everything and expect to sound like Vai. All of the Ibanez MINIs’ bodies are pretty dense in a way that implies non-pliant dependability, and each sports traditional latching foot-switches. Despite the no-nonsense lack of frills, I have no grievances over the functionality of these lovely little tone engines: mini pedals are kind of just what they, are and you can’t ask for much more from them than compact tone at the press of a button. Despite the fact that the ADMINI and CSMINI’s predecessors both have stereo wet/dry outputs, the mini’s are making their own way and doing their own thing for the tired guitarist, and for some of us, the reason we want smaller pedals has a lot in common with the reason we won’t go stereo. Maybe its time we gave our backs a rest and went mini. Stupid simple, warm analog tone, itsy-bitsy. What’s not to love? If you’re looking for a tiny plug-and-play delay pedal that won’t break the bank or leave you spending hours menu-diving, its hard to compete with the ADMINI. Believe it or not, everyone has classic tone needs. While the CSMINI is nothing groundbreaking in terms of variety, it does what it does very well, and what it does is satisfy the need for a lush analog chorus while also being fun-sized. Five parameters on a mini pedal?! Even if that doesn’t impress you, the price and the tone are not to be ignored if you’re looking for gain. 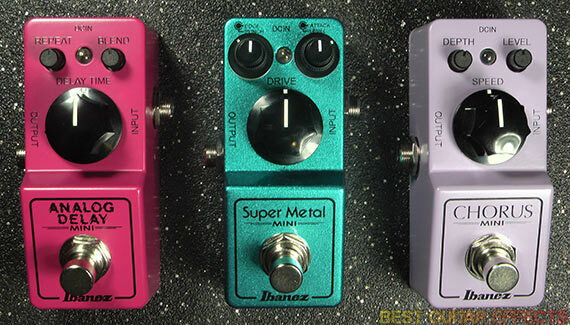 The SMMINI is the size-conscious shredder’s best friend, and like its counterparts, evokes the classic tones we should expect from reissues like the Ibanez Mini Series pedals. That concludes our review of the Ibanez ADMINI, CSMINI, & SMMINI. Thanks for reading! Want To Buy The Ibanez MINIs? Great review here and on youtube! 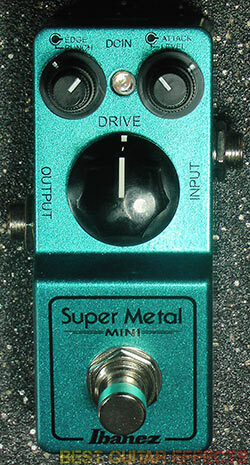 Didn’t see this mini double knobs on SUPER METAL! Analog delay in such mini enclosure – it’s superb! It must be Bucket brigade miracle!